Handles where on the inside of the door there is a turn button and on the outside of the door there is an emergency release slot, usually operated by a coin, which can be used to unlock the door in an emergency. 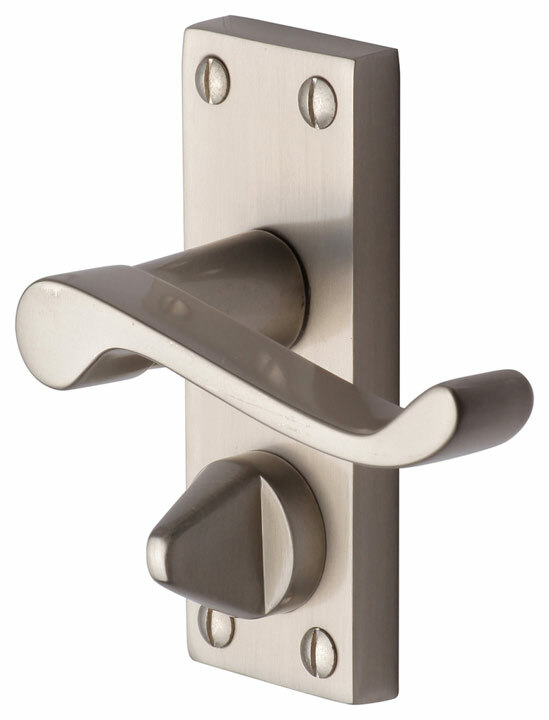 This type of handle is normally used with a tubular latch which is 2.1/2" or 3" long. When the turn button is operated, the tubular latch becomes 'locked' and the door cannot be opened, except by turning the button again or by using the emergency release from the outside.